On 18 September 2015 the London Science Museum will open its doors to a ground-breaking exhibition. 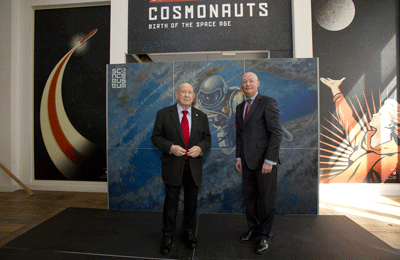 Cosmonaut Alexei Leonov and Ian Blatchford, Director of the Science Museum. – Ground-breaking Cosmonauts exhibition expected to attract record numbers to the Science Museum. – Features the greatest collection of Soviet spacecraft and artefacts ever exhibited outside Russia. – A highlight of the 2015 Autumn Season in London expected to attract record numbers to the Science Museum. The exhibition represents the most comprehensive and in-depth look into the Russian space programme, showcasing the most significant collection of the country’s spacecraft and artefacts ever to be shown outside Russia. Cosmonauts tells the remarkable story of the scientific and technological innovation that launched the space age. It is one of London’s blockbuster exhibitions taking place during the 2015 autumn season of culture and is expected to attract hundreds of thousands of international and UK visitors to the capital. Last year the Science Museum welcomed 3.4 million visitors, a 1.2% increase on the previous year. Building on that success, this exhibition represents a major collaboration between the Science Museum, the State Museum Exhibition Centre ROSIZO and the Federal Space Agency, Roscosmos. The support of many other institutions and individuals in the UK and Russia has also been crucial in the development of the exhibition. Tickets are now on sale for Cosmonauts with the exhibition opening on 18 September 2015 and running until 20 March 2016 at the Science Museum in London. The Museum will be open until 10pm every Friday evening during this period to allow visitors more opportunities to see the exhibition. Tickets are on sale now. Visit www.sciencemuseum.org.uk/cosmonauts for further details. The Cosmonauts exhibition is sponsored by BP, with additional support from Art Russe and the Blavatnik Family Foundation. 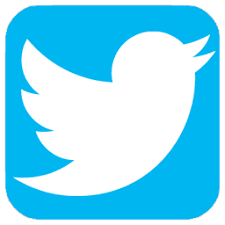 London & Partners is the official promotional company for London. We promote London and attractbusinesses, events, congresses, students and visitors to the capital. Our aims are to build London’s international reputation and to attract investment and visitor spend, which create jobs and growth. Spaces by Reactive Devices’ (in Scientific Survey, no. 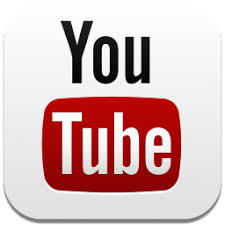 5) outlining the basics of rocket motion in space. 17 December: First flight of Wright brothers’ airplane lasts 12 seconds. 7 November (25 October in Julian calendar): In Petrograd Bolsheviks seized power from the Russian Provisional Government. Russian Socialist Federative Republic eventually grew into the Union of Soviet Socialist Republics. July–September: In USA rocket pioneer Robert H Goddard began experiments with his first liquid-propellant rocket. Die Rakete zu den Planetenräumen(‘The Rocket into Interplanetary Space’). Mechanisms, Instruments and Historical Materialsopened in Moscow, attracting crowds of people interested in space travel. Gas Dynamics Laboratory (GDL) and Group for the Study of Reactive Motion (GIRD). Rocket engineers Sergei Korolev and Valentin Glushko held leading positions at the institute. Stalin’s purges reached their peak. Prominent members of political, cultural and academic elite were imprisoned or executed. 1939–45 Second World War (from 22 June 1941, Great Patriotic War in Soviet Union).Military potential of long-range missiles was realised in Nazi Germany. The V2 missile, the progenitor of modern rockets, was developed by Wernher von Braun. First V2 struck London in September 1944. 13 May: Council of Ministers of the USSR issued a decree ‘On Reactive Missiles’. Experimental Design Bureau no. 1 (OKB-1, now Rocketand Space Corporation Energia) was founded, Sergei Korolev appointed its Chief Designer and tasked with developing first Soviet intercontinental ballistic missile (ICBM). 21 August: Korolev’s design bureau launched R-7, world’s first ICBM. 4 October: R-7 carried Earth’s first artificial satellite, Sputnik-1, launching the Space Age. 3 November: Sputnik-2 probe launched Laika the dog into space. First animal in space paved the way to the manned missions of the 1960s. 1 February: First American satellite Explorer-1 reached Earth orbit. 15 May: Sputnik-3, first orbiting space laboratory, was launched, ending the first stage of the Soviet space programme. 1 October: National Aeronautics and Space Administration (NASA) was established by the President D D Eisenhower as a civilian enterprise. Cosmonauts Training Centre at Star City) founded. 18 August: USA descent module Discoverer-13 became the first spacecraft to return to Earth. 20 August: Soviet Korabl-Sputnik-2(or Sputnik-5) was launched carrying dogs Belka and Strelka; the descent module with the animals safely returned to Earth. 12 April: Yuri Gagarin became the first man to orbit the Earth, in Vostok-1. Launched from Soviet launchpad at Baikonur (Kazakhstan), he completed one orbit in 108 minutes and safely landed in Saratov region. 25 May: President John F Kennedy’s speech to Congress committed USA, by the end of the decade, to landing a man on the Moon and safely bringing him back to Earth. 20 February: US astronaut John Glenn orbited the earth in Mercuryspacecraft. 26 April: First international satellite Ariel-1 is launched by USA/UK. 14–28 October: Cuban Missile Crisis brought the USSR and USA to the brink of nuclear war. June after orbiting the Earth and conducting programme of experiments and tests on Vostok-6. 22 November: US President J F Kennedy assassinated in Dallas, Texas. President Lyndon B Johnson authorisation for the use of conventional military force in Southeast Asia. 12 October: Soviet Union launched the first multi-crewed spacecraft, Voskhod-1, with commander Vladimir Komarov, fight engineer Konstantin Feoktistov and physician Boris Yegorov. 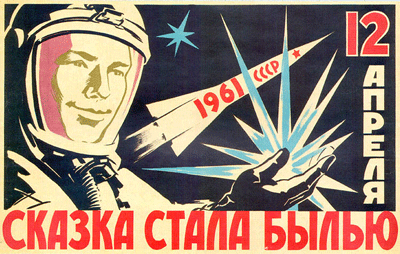 Feoktistov and Yegorov became the first civilians to travel in space. During this mission Soviet premier Nikita Khrushev was removed from the office and replaced by Leonid Brezhnev. 18 March: Alexei Leonov became the first man to perform extra-vehicular activity (EVA) in space, from the Soviet spacecraft Voskhod 2.His spacewalk lasted 12 minutes. 23 March: USA launched the first manned mission of NASA’s new Gemini programme, precursor to Apollo lunar programme. Gemini-3 was crewed by Virgil ‘Gus’ Grissom and John W. Young. 15 July: Mariner-4 took first flyby photographs of Mars, showing it to be a cratered and seemingly dead world. 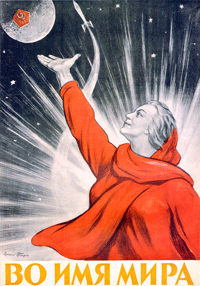 14 January: Chief Designer of the Soviet Space programme Sergei Korolev passed away. Korolev’s death jeopardised the development of Soviet super-heavy launch vehicles for manned Moon and Mars missions. 27 March: Yuri Gagarin died in MiG-15 crash during a routine fighter plane test flight. 20 July: American astronauts Neil Armstrong and Buzz Aldrin land on the Moon in Apollo-11 lunar module ‘Eagle’. They became the first humans to walk on the surface of a celestial body other than Earth. 17 November: Soviet Moon rover Lunokhod-1 became the first robotic device to operate on the Moon. 19 April: USSR launched first orbital station Salyut, starting new phase of the long-haul manned missions for space exploration. 28 October: First launch of a British spacecraft: Prospero satellite by Black Arrow rocket. 14 December: Last of six successful NASA manned Moon missions departs from lunar surface. 25 May first manned mission to NASA’s Skylab space station. Skylabwas assembled from redundant third stages (S-IVB) from the Apollo Saturn V rocket. 30 May: European Space Agency (ESA) founded with the signing of the ESA Convention in Paris. 17 July: Soviet spaceship Soyuz-19 and USA Apollo performed first international docking in space. This joint mission signified the détente in the space race and the political confrontation of two rival powers. Future joint programmes followed, such as Mir–Shuttle and the International Space Station. 5 September: NASA’s space probe Voyager-1 was launched, becoming in August 2012 the first human-made object to venture into interstellar space. 12 April: First flight (STS-1) of Space Shuttle, NASA’s crewed reusable orbital spacecraft. Shuttle programme carried out 135 missions and finished in 2011. 20 February: Core module of space station Mir launched by USSR. 28 years into Western and Eastern parts. The eventstriggered the collapse of the Eastern (communist) bloc. by astronauts in orbit in December 1993. Hubble returned huge quantities of new astronomical data including many stunning photographs of deep space. 18 May: Soyuz TM-12 launched the first British astronaut Helen Sharman to the Mir space station on the Soviet–British programme Project Juno. of the USSR and emergence of former Soviet republics as independent states. 22 March: Russian cosmonaut physician Valery Polyakov set current record for the longest continuous space flight of 437 days, 17 hours and 38 minutes. 7 December: NASA probe Galileo arrives at Jupiter and becomes the first spacecraft to orbit the planet. 23 March: After more than 86,000 orbits, Mir space station re-entered Earth’s atmosphere over the Pacific Ocean; some of its larger pieces blazed into the sea. 9 May 2003: Japanese spacecraft Hayabusa launched. Became the first probe to land on an asteroid and return a sample of material to Earth, seven years later on 13 June 15 October: China launches first manned mission, with Yang Liwei aboard the Shenzou-5 spacecraft. 15 November: Beginning of experiments of the Mars-500 mission, a series of isolation experiments intended to test human psychological ability to manage interplanetary travel. Conducted at the Institute of Biomedical Problems, Moscow. 21 July: Last Shuttle mission landed at Kennedy Space Center. 30-year Shuttle programme discontinued, leaving Russian Soyuz space craft as the only means of ferrying astronauts and cosmonauts to and from ISS. 26 November: Curiosity rover expedition to Mars launched from Cape Canaveral. 14 December: China lands Yutu rover on the Moon. 13 November: ESA’s Philae Lander made the first landing on a comet, as part of the Rosetta Mission. Siberia to the family of a miner. He spent his childhood years in the town of Kemerovo, and after the end of the Great Patriotic War the family moved to Kaliningrad (former Koenigsberg). In 1953 he graduated from a secondary school and entered the air force school in Chuguevsk, which was followed by service in a number of Soviet air force units. In 1960 Leonov was enlisted as one of the first 20 cosmonauts and completed his training on Vostok andVoskhod-type aircraft. landing at the secondary landing site. 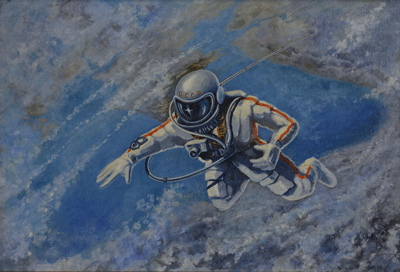 After the flight, Leonov continued his training in the cosmonauts’ squad, being part of the moon flight mission. 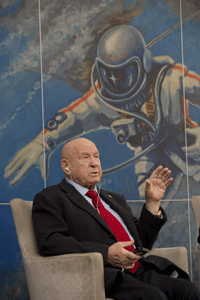 If the Soviet lunar program had been realized, Leonov would have become the first Soviet cosmonaut to circumnavigate the moon. After the Soviet moon program had been closed, he carried on his training as part of the long-term orbital station program. In 1968 Leonov graduated from the Zhukovsky Airforce Engineering Academy. In 1971 he should have been a commander of the Soyuz-11 mission to Salyut-1, the first manned space station, but his crew was replaced with the backup due to the health issues of the cosmonaut Valery Kubasov. Soyuz-11 mission did take place, however, ended in disaster, killing the three-man crew. After a number of cancelled missions, Leonov’s second space flight was similarly significant: on 15-21 July 1975 he commanded the Soviet half of the Apollo-Soyuz mission – Soyuz 19 – the first joint space mission between the Soviet Union and the United States. It was the first docking of spacecraft built by different nations. The flight lasted for 5 days 22 hours 30 minutes and 51seconds. From 1971 Leonov was deputy chief of the Yuri Gagarin Cosmonaut Training centre. Since 1992 – a head of Alfa-capital foundation and since 2000 an acting advisor to the Vice-president of Alfa-Bank ltd. Alexei Leonov has been awarded a variety of Russian and International medals including, among others, Hero of the Soviet Union, Hero of Socialist Labor of Bulgaria, Hero of Vietnam, laureate of state prize (1981), full member of the International Academy of Astronautics, full member of the Russian Academy of Cosmonautics and co-chairman of the International Association of Astronauts. Leonov is a member of the Union of Artists and author of the books Perception of space and time in the cosmos, Psychological Problems of Interplanetary Travel, In the Outer Space and Solar Wind.